Wow...your room looks AMAZING! You have organized it perfectly! Wow very organize Lorena! Wonderful studio! I am happy you did the Blog Hop with us! Very organized. I like the punch holder rack & the table space. OH, I LOVE your space! It is SO organized (something I am really lacking in my creative life right now). But I just love it! As a fellow scrapper, I can see how functional it all is. I love the peg board with items hanging on it (I might need to adapt that to my space soon!) thanks so much for sharing! Oh my so tidy and organized! My hubby would love it if I were more like this!!! Such a sweet space to create in! Not as organized but I am loving my new little space I created this year! Wow, so organized and tidy! Thanks for sharing your great space! Your space is fabulouse...so much room to work, and everything is so organized...thanks for sharint...it was a joy to see your space. It looks great! I love the use of pink in the room and the fact that everything has a home. Your amount of workspace is enviable. You've done a great job! So pretty with the touches of pink!You are so organized!!! Looks like a great space!!! Love it, Lorena! Look at all that great storage! And I love those storage boxes. You've done a great job of using every available square inch of space in such a functional way and it looks pretty, too! Great job! Thanks so much for sharing your tour. A neat and tidy girl like myself... ahhhh! Kindred spirits! Don't you think it more inspiring? Not that I don't love every nook and cranny filled, because I do. It just doesn't work for me. And I love that you have all those tools to help you create. The Sizzix, the Cricut, and all the others that help make your crafting easier. Way to go! Scrap-tastic studio!!! Love those little rails for holding your punches. Really great space, so organized, must be a fun place to play. Thank you for sharing. WOW, so neat and clean and organized! It looks like a space that functions so efficiently. Just love the uncluttered look! I know what you mean about the TV...it does make it harder to get anything done, LOL. Come visit my folk-art-y "studio" (aka dining room, LOL) when you have time! So organized, everything I am not. What a great place to be creative. Your space is so organized and cozy. I would be so at home in your room. Thanks for sharing! Take care and will be back soon. Oh my gosh Lorena, you must be in heaven! 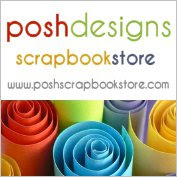 That is a scrapbookers paradise! Thank you so much for sharing it with all of us!! Sorry it took me so long to get here, but better late than never!!! You lucky girl!!! This looks like heaven! I really mean it! WOW!!! Love your scrap space! I really like how you configured the countertop and put the Ikea shelves beneath:very clever! I bet you have a lot of fun in there.Thanks for sharing with us! And your scrapbook pages are beautiful, as well!! What a terrific space you have. I love your storage solutions and will definitely be copying a few. I have never seen punches stored on a towel rach and never thought of it but it is GENIUS! I like the idea of having them right out in the open where I can get to them. 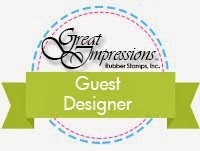 I also loved your use of a plate shelf for your stamps, another great idea. And of course I cannot forget your pegboard! Your whole space looks so inviting, I wish I lived nearby and could drop in and create with you! Thanks so much for sharing your studio with us all, I really enjoyed seeing it and got lots of wonderful ideas from you as well.